At Cheshire Detailing LLC we detail your vehicles with quality products and our own precision. No matter what messes your vehicle gets into it is our mission to treat them with the same dedication we would our own. With over 30 years of automotive experience, Cheshire Detailing LLC will make sure your vehicle’s beauty will shine and last. How are ya! I’m Darren Randall, owner of Cheshire Detailing LLC. I purchased the business in 1997 and have been detailing and hand washing cars ever since. 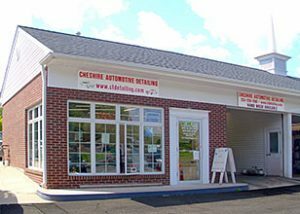 Cheshire Detailing LLC is a fully insured automotive detailing business located in Cheshire, Connecticut serving towns in the state, from the Cheshire area to the Farmington Valley. Cars are my passion. It started long before I graduated Porter and Chester Institute for Mechanics or raced at Riverside Park Speedway, or Stafford Motor Speedway. It may have even started before I built car models at age 12. Ask me about the cars I have owned and/or re-built over the years. That’s why I started Detailing, because I want to help you take care of your vehicle by keeping it clean, protecting it and making it last. Clients’ cars have won top prizes in the Corvette show, Southbury Car Show, and other antique car shows. In addition, Cheshire Detailing LLC will detail and/or hand wash your own family van or car, company vehicles (excluding Semi’s) and dealership vehicles. We do a job, and we do it right; with the quality products and the utmost attention to detail. We are passionate about vehicles and our work. We treat vehicles like our own. We commit to doing the job you want done.